Spreadsheets can be used for a number of different purposes, but one common one is to create a form that is distributed to other people. This form can be used to collect and store information that can then be sorted or saved as needed. One helpful element that you might want to use on a form like this is a checkbox. This allows a person to easily affirm or deny something. 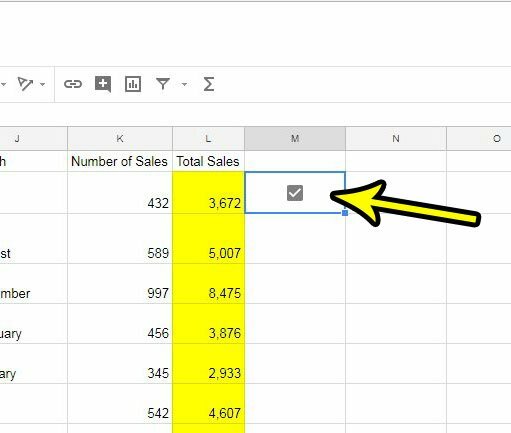 many programs make it somewhat difficult to add or use checkboxes, but Google Sheets has recently implemented a feature that makes it pretty simple to add a clickable checkbox to a spreadsheet. Our tutorial below will show you how. The steps in this article were performed in the desktop version of the Google Chrome Web browser. By completing these steps you will be selecting an empty cell in your spreadsheet and adding a checkbox to that cell. 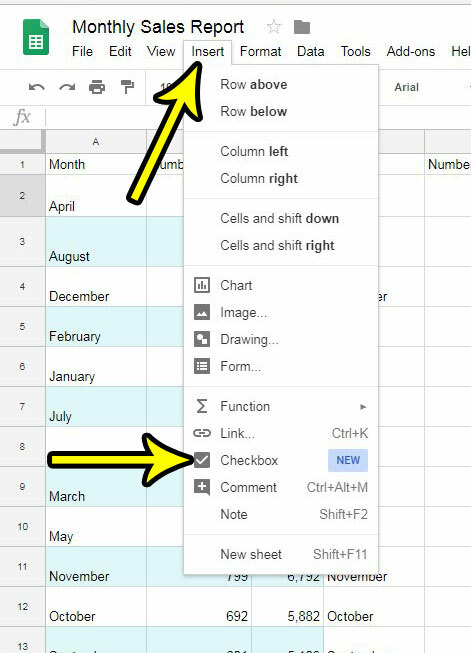 Step 1: Sign into your Google Drive at https://drive.google.com/ and open the spreadsheet to which you would like to add a checkbox. Step 2: Click inside the blank cell where you want to place the checkbox. Step 3: Click the Insert tab at the top of the window, then choose the Checkbox option near the bottom of the menu. Step 4: You or someone viewing the spreadsheet will then be able to click that checkbox to add or remove a check. Note that doing so will change the value in the cell from TRUE (when there is a checkmark in the box) to FALSE (when there is no checkmark in the box). Is there a cell or group of cells in your spreadsheet that contains formatting that you don’t want? 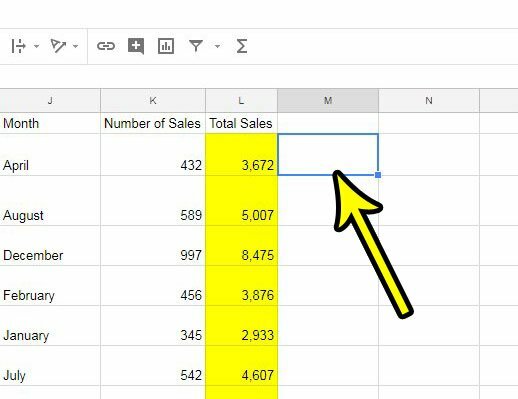 Find out how to clear formatting in Google Sheets for a simple way to remove all of the formatting from those cells.